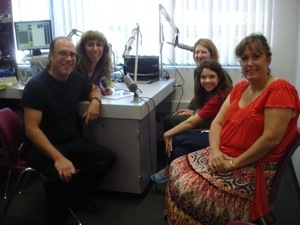 LAKE ELSINORE, CA and ALBUQUERQUE, NM – December 17, 2010 – The non-profit Jennifer Smart Foundation has finalized its purchase of former Radio Disney affiliate KALY AM 1240 in Albuquerque, NM. FCC approval of the assignment has been granted, and the JENNiRADIO format for tweens, teens and families will begin airing on the station this month. KALY AM 1240 is wholly owned by the Jennifer Smart Foundation, and its net income will go to national charities and worthy causes in the local community. JENNiRADIO features age-appropriate music, movie and web site reviews, positive messages about giving back, Jennifer’s celebrity interviews and other exclusive content. Fourteen-year-old Jennifer Smart created the format, which has streamed on the internet for several years, and is excited to bring it to the Albuquerque market. She started the Jennifer Smart Foundation to assist organizations and raise awareness of issues regarding kids’ health, education, animals, and the environment, and will use the JENNiRADIO format to communicate to kids and families that you’re never too young, or old, to help out. “We will be selecting a few local charity organizations in Albuquerque that can use our help, and look forward to benefitting the community by assisting them. I can’t wait to get kids and families in the area involved in donating and volunteering. We will also be doing some fund-raising events, and continue supporting my favorite national organizations, like Alex’s Lemonade Stand,” Jennifer explains. She will be visiting local charities over the holidays, including serving Christmas dinner at Joy Junction. There will be opportunities to meet listeners, including an appearance at Albuquerque’s famed River of Lights on December 29th. Jennifer will also be available for interviews with local press while in town. She has a long history in broadcasting, starting with hosting a nationally-syndicated talk radio show from the age of 6 to 11. Jennifer began talking to stars on red carpets at the age of 8, and has interviewed more celebrities than anyone else her age. She continues to focus on the good works of the famous and not-so-famous, in encouraging more people to get involved in donating not only money, but also their time and effort, to worthy causes. I am featured in the “Classes @ the Keyboard” article in the 2010-2011 LA Parent Education Guide. It will also be included in Bay Area Parent and Boston Parents’ Paper. Click here to read the mention of our press release at AllAccess.com. 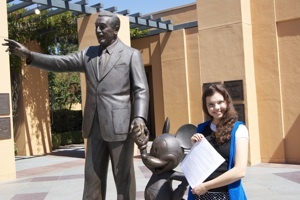 LAKE ELSINORE, CA and ALBUQUERQUE, NM – October 4, 2010 - The non-profit Jennifer Smart Foundation has entered into an agreement to purchase former Radio Disney affiliate KALY AM 1240 in Albuquerque, NM. Pending FCC approval, the JENNiRADIO format for tweens, teens and families will begin airing on the station later this year. KALY AM 1240 will be wholly owned by the Jennifer Smart Foundation, and its net income will go to national charities and worthy causes in the local community. Considering she’s still in her early teens, Jennifer has had a long career in broadcasting. She started in radio at the age of 6, and was the youngest nationally-syndicated radio talk show host for five years. She started interviewing stars on red carpets at the age of 8, and has interviewed more celebrities than anyone else her age. In 2007, she toured the US with her parents, broadcasting their weekend program from a different state each week. She created her own online radio format for tweens, teens and families, called JENNiRADIO, which features age-appropriate music, her celebrity interviews, DVD and web site reviews, and other exclusive content. For more information about Jennifer Smart, JENNiRADIO, and the Jennifer Smart Foundation, visit JENNiRADIO.com and JenniferSmartFoundation.org. Here I am being interviewed by Abbey of Maximo TV at the 31st Annual Young Artist Awards on April 11, 2010. Click here for a photo of me at the eWorld Music Awards on January 27, 2010. I loved talking with Monique about my life and all the projects I’m working on. This is a great way to look back on what I’ve done, and look forward to all that’s to come in the new year! To see more of All Entertainment TV’s interviews, visit their YouTube channel here. Click here to read the 10/23/09 Press Enterprise mention of the Jennifer Smart Foundation Haunting benefit. Here’s a photo from my interview in the KSBR studio. You can listen here. On October 17th, the event started at Mission Viejo High School (25025 Chrisanta Dr) and ended at the fair site at 24932 Veterans Way. I was the keynote speaker at the rally that kicked off the event 8:00am and signed autographs at the fair afterwards. There’s more info at the City of Mission Viejo web site. Here’s my interview with Diego for MaximoTV at the TCA Pre-Party.